Beware of enthusiastic spiritual salesmen who regale you with tales of power and supernatural events. They speak glowingly of Heaven, but represent the continuation of hell on earth, which is most reprehensible to the One Who laid down His life to deliver you from hell. “But woe to you, scribes and Pharisees, hypocrites! For you shut up the Kingdom of Heaven against men. For you neither go in, nor do you allow those entering to go in” (Matthew 23:13 MKJV). Do you think Sid Roth is a sincere Christian? “And this I pray, that your love [obedience by faith] may abound yet more and more in full knowledge and in all perception; that you may distinguish between things that differ, that you may be sincere and without offense until the day of Jesus Christ” (Philippians 1:9-10 MKJV). (16) Then those who feared the LORD spoke with one another. The LORD paid attention and heard them, and a book of remembrance was written before Him of those who feared the LORD and esteemed His Name. (17) They shall be Mine, says the LORD of hosts, in the day when I make up My treasured possession, and I will spare them as a man spares his son who serves him. (18) Then once more you shall see the distinction between the righteous and the wicked, between one who serves God and one who does not serve Him. Sid Roth is a spiritual huckster who seeks out those making the most outrageous claims of works of God for his show, It’s Supernatural, in order to entertain people. Now, we know that God does do miracles and marvelous acts, but how did Jesus approach such things? (42) And He having spoken, the leprosy instantly departed from him and he was cleansed. (45) But going out, he began to proclaim it very much, and to spread about the matter, so that Jesus could no more openly enter into the city, but was outside in deserted places. And they came to Him from every quarter. (10) For He had healed many, so that they pressed on Him in order to touch Him, as many as had plagues. (12) And He strictly charged them that they should not make Him known. Is Jesus saying we shouldn’t preach Him as Lord and speak about His works? Not at all. What He’s demonstrating here is that those who promote miraculous healings and encounters with God are promoting themselves, not Him. Though they’re doing it in His Name, He doesn’t know them. They’re liars and not to be trusted. 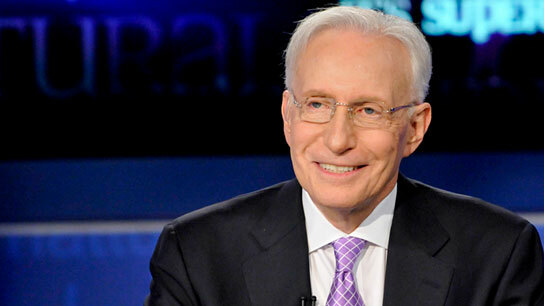 “Sid Roth is the main promoter of NAR [New Apostolic Reformation] celebrities. His internet show is called, ‘It’s Supernatural’. On this show he interviews and extols the wonders of all these miraculous signs and wonders and the people performing them. He’s been doing this for 35 years. About 40 years ago he and I attended the same church, a Messianic synagogue in Rockville, Md, called Beth Messiah. While my wife and I attended that church Sid Roth heard of our testimony of being delivered from the occult and having become born-again Christians. At that time he was doing a radio show where he interviewed people sharing their testimonies of how they became Christians. I think the show lasted 15 minutes. He normally interviewed guests for one show, allowing him to have five guests per week. He found our conversion story so interesting that he chose to have us on for the whole week. He split up the interview about half and half between my wife and myself, with me telling the story about how I was saved and my wife’s story of coming out to rescue me from the Christians, and her subsequent salvation. As a spiritual entrepreneur and opportunist, Sid was on the hunt for bigger and better things to catapult his spiritual sideshow into the limelight. It may be that the Lord delivered Sid from the occult and demonic possession and restored him to his right mind after he repented of leaving his wife and daughter to search for “happiness” (see http://sidroth.org/about/sids-story). Just because the Lord gives good things to people, doesn’t make them good.